Curacao is a small Caribbean island located just north of the Venezuelan coast. Curacao is part of the Kingdom of the Netherlands, as are the islands Aruba, Bonaire, St. Maarten, St. Eustatius and Saba, together known as the former Netherlands Antilles. Curacao has about 150,000 inhabitants. 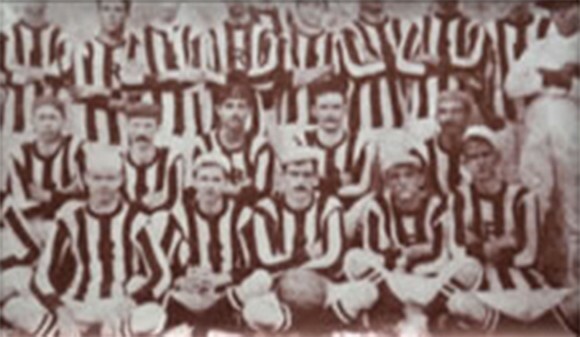 In 1909 the first football club was established on Curacao, then counting about 25.000 inhabitants, established in 1909, CVV Republic (). Young people who had spent time in the Netherlands for study and had started playing football and taken a liking to the game united in CVV Republic. 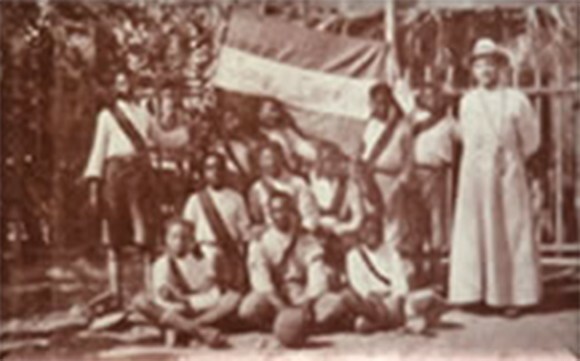 At the time there were no soccer fields on Curacao and the first match between CVV Republic and a team of marines took place in the garden of the church of Sta. Famia. As a matter of fact the Friars, who also ran the schools, played an important role in the early stages of soccer development as they propagated the sport and also organized volunteers to clean and prepare the first fields in Skalo and Mundo. 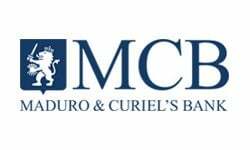 In 1921 the football federation CVB (Curacaose Voetbal Bond) was established and in August that year the CVB organized the first Curacao Championship with eight participating clubs. 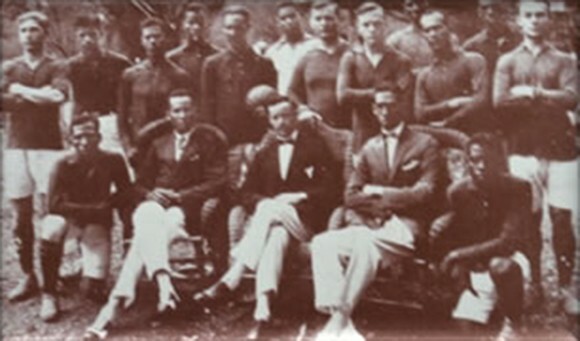 In 1926 the first national selection of Curacao travelled to Haiti to play in a tournament against Haiti, Jamaica and Sto. Domingo. The Curacao selection did quite well in the tournament, with several wins over Haiti and Sto. Domingo. In 1932 the federation CVB became affiliated with FIFA. Exchanges with neighboring islands and countries followed on a regular basis. In 1941 the First CONCACAF Championship took place in St. Hosé, Costa Rica. Participating countries were Costa Rica, Curacao, Nicaragua, El Salvador and Panama. Curacao ended third. At the end of this year the Curacao and Aruba federations, both islands being part of the Netherlands Antilles, decided to join forces and established NAVB, the Netherlands Antilles Football Federation. Both federations remained autonomous in their own territory, and the winners of the championships on the respective islands would play against each other to determine which club would be Champion of the Netherlands Antilles. 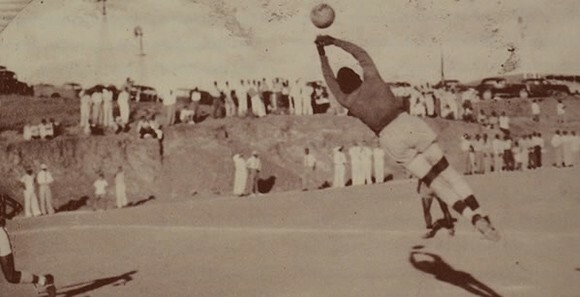 In May 1946 CVB celebrated its 25 years of existence with an international tournament on Curacao. Visiting teams were Aruba, Surinam, Atletico Juniors from Colombia and Feyenoord from the Netherlands. Curacao won all het matches and the last match against the famous Dutch team Feyenoord attracted an large number of spectators. Curacao won 4-0. 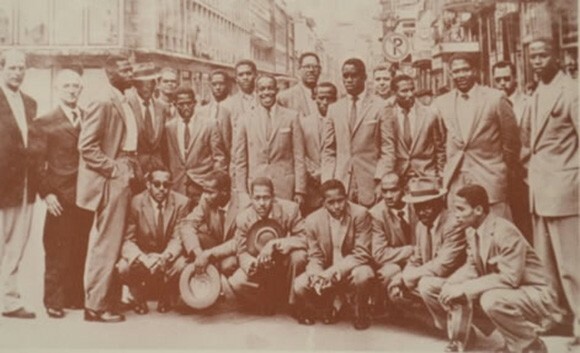 In July 1946 the national selection of Curacao travelled to the Netherlands to reinforce the bond between Curacao and the Netherlands. During their three months’ stay the Curacao selection played 9 matches against Dutch teams of which the 3-3 draw against Feyenoord, one of the big Dutch teams, is vividly remembered. The stadium in Rotterdam was filled with over 37.000 spectators, almost as much as the inhabitants of Curacao at the time! The young Curacao goalkeeper Ergilio Hato made a lasting impression with his great athletic abilities and amazing jumping power. 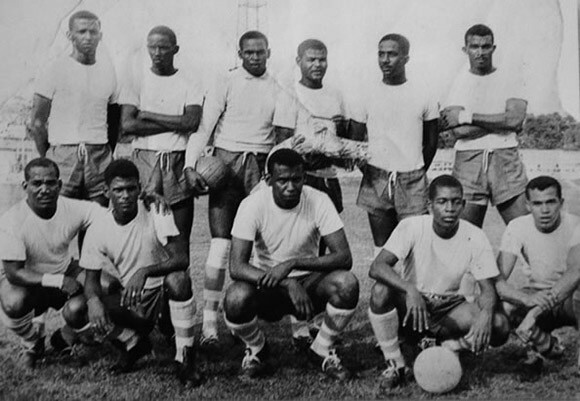 The Curacao national selection performed very well in the subsequent CONCACAF Championship and the Central American and Caribbean Games, even winning the gold medal in 1950 in the CAC Games. Ergilio Hato became a legend in South America and the Caribbean and is remembered by his nickname “El pantera negra”. He got offered several contracts abroad but refused to go pro and choose to stay on his native island. The national stadium of Curacao is named after Ergilio Hato. 1958 brought another organizational change with the establishment of NAVU, the Netherlands Antilles Football Union. Soon the Aruban AVB affiliated with NAVU and BVB, the Bonaire Football Federation followed in 1959. Now players from the three islands could all participate in the national selection of the Netherlands Antilles. 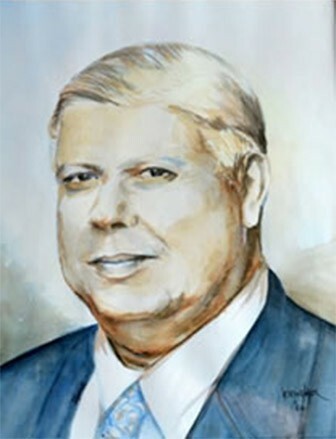 Driving force behind bith NAVU and FFK is Mordy Maduro, president of CVB since 1951 and president of NAVU from 1958-1971. Maduro was elected vice-president of FIFA in 1960 and re-elected in 1968. 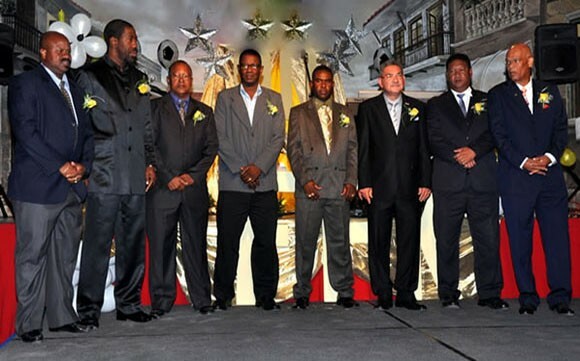 Thanks to Mordy Maduro many foreign teams visited Curacao during his presidency. His great contribution to Curacao football development was honored in 2002 with naming the NAVU development center after him. In 1986 Aruba gained ‘status aparte’ within the Kingdom of the Netherlands, retired from NAVU and successfully applied for FIFA-affiliation. 1977 CVB changed its statutes – and it name, to FFK. The following years national selections of different age-categories (U-17, U-20) start to participate in CONCACAF and FIFA prequalifying tournaments. Preparation for the tournaments is taken to a more professional level and as a result the U-17 selection reaches the second round in 1996. The first decade of the 21st century brings large changes for Curacao football. A FIFA Goal Project is awarded, a building ground acquired and in 2002 NAVU can start building its own training and development center. The opening took place 23rd January, 2003 and now NAVU and FFK both have proper offices, meeting rooms and a dormitory. 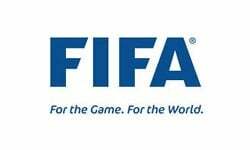 Financial FIFA-aid must guarantee further football development and a professional staff is installed. In October 2003 the first FFK women championship starts with five teams. An ambitious preparation program for the prequalification rounds for Mundial 2006 is launched. 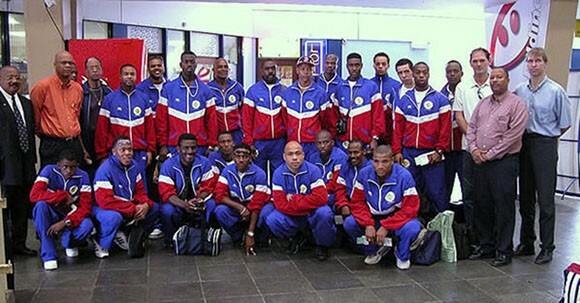 Up until 2003 national selections consisted of players living in Curacao and Bonaire. Now the focus widened and NAVU started to actively recruit players with Antillean roots living in the Netherlands and participating in the top levels of the Dutch national competition. Trainers Pim Verbeek and Henk Duut started the preparation in the Caribbean and in the Netherlands, and in 2004 the selection of both Caribbean and European players won two Caribbean tournaments. In March the selection reached the second round of the CONCACAF prequalification and was matched with Honduras. Honduras proved too strong and the Netherlands Antilles selection was eliminated. Over the years a large number of courses for all aspects of football management and training took place on Curacao. Courses in refereeing, trainer-coach, management, women football, grassroots development etc were provided for by FFK, FIFA and KNVB, the Dutch football federation. Also Curacao delegations were sent to participate in FIFA, CONCACAF and Olympian trainings. 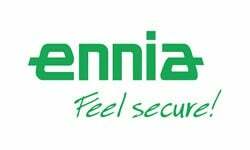 The knowledge gained is applied in the many participations in inter-insular and international competitions and tournaments in the region in all age categories. Prequalification for the respective World Cup 2010 and 2014 both ended after the second round. With the support of FIFA GOAL Project II and III a Health & Fitness Center and a training field with artificial turf are realized. Due to changes in the structure of the Netherlands Antilles Curacao is now independent within the Kingdom of the Netherlands and NAVU no longer exists. All football activities are now executed by the FIFA-affiliated Curacao Football Federation FFK. 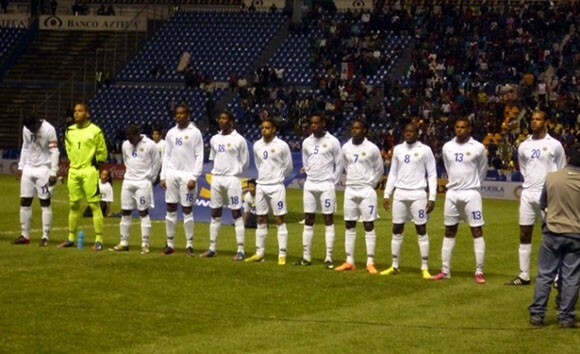 In February 2013 the Curacao U-20 was close to qualifying for a World Cup tournament as the national selection U-20 had to play two matches in the last round of the Qualification Tournament U-20 WC 2013. Curacao had reached this stage through successful participation in de previous rounds in Granada and Haiti. In Mexico Curacao was paired off with Mexico (19 February) and El Salvador (21 February) in Pool D. Curacao had to win at least one of these matches to continue into the quarter finals (27 February). However, the U-20 lost 3-0 against Mexico and 2-1 against El Salvador. 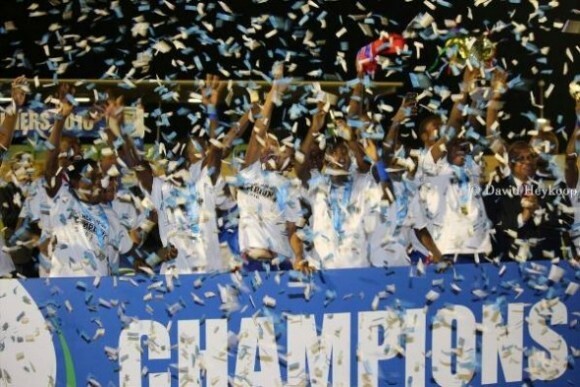 Haiti clinched the trophy after defeating Antigua and Barbuda in the final with a score of 4-0. Bermuda took third place after winning from Trinidad and Tobago in the match for the third place. These four teams also qualified for the CONCACAF U-20 2017 Championship. The ongoing efforts in youth development in the last 10 years are paying off. 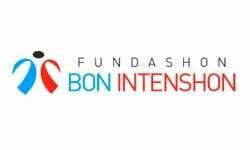 More and more teams are participating in the Curacao Youth Championships and FFK initiates a Soccer Academy for talented youth players with partner Fundashon Bon Intenshon. Curacao selections of both girls and boys are performing well at Caribbean level. 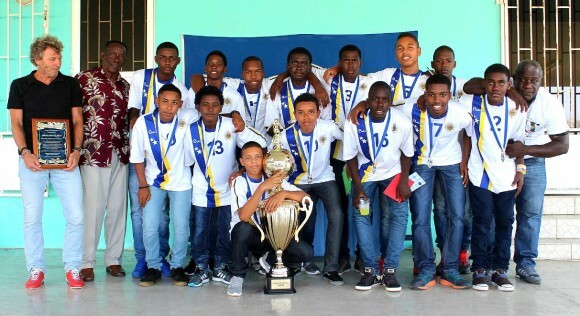 In 2015, the Curacao U-15 won the CFU U-15 Championship and in 2016, the U-15 girls won the group fase of the 2016 WU-15 Championship in Miami and qualified for the next round. The U-17 selection qualified for the 2017 CONCACAF U-17 Championship, but were outed in the group phase. FFK will continue its efforts in youth development both at the base and in the Talent Academy. Football as a sport is growing in Curacao - the number of youth teams is rising and many young children choose to participate in football activities. Youth Development is still a primary focus in the FFK Long Development Plan and results of these efforts are to be expected. In June 2015, the Curacao Women U20 ended as best runner up of their group in the Caribbean Classifiers for the CONCACAF WU20 Championship and continued into the next round. 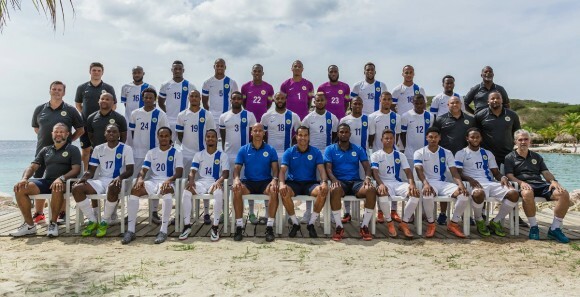 The senior selection, with the internationally world famous player and coach Partick Kluivert as head coach, qualified for the Caribbean Cup Final in 2017. His assistant Remko Bicentini will take the team to the Caribbean Cup Final in June and the CONCACAF Gold Cup in July 2017.